Thursday would normally be an outfit post, but since I’ve managed not to leave the house all week, I haven’t actually worn any outfits! So instead, another pretty easy project. 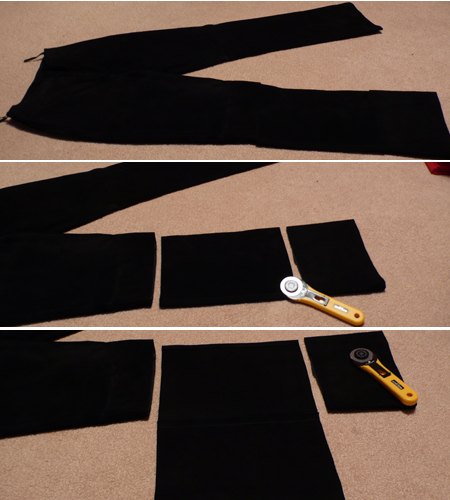 I have a torn pair of leather pants, and a pair of suede pants that never fit right, so I’ve been using them as material for alterations and projects. 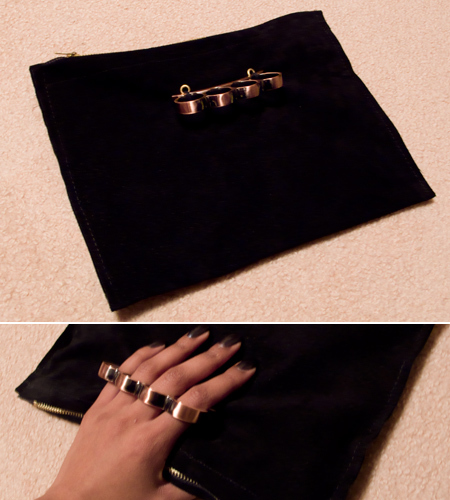 I used part of a suede leg for my purse, but really, zip top pouch clutches are incredibly easy to fashion. 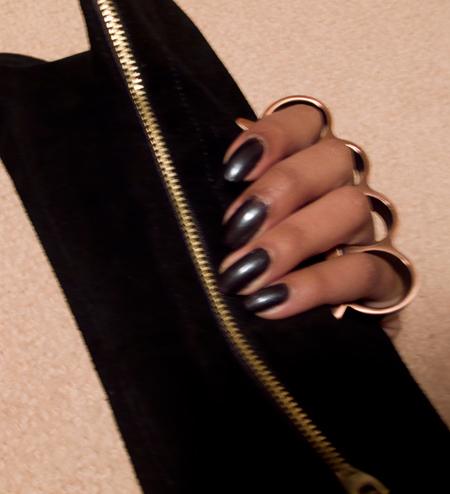 It’s just a doubled shape with a zipper on top. 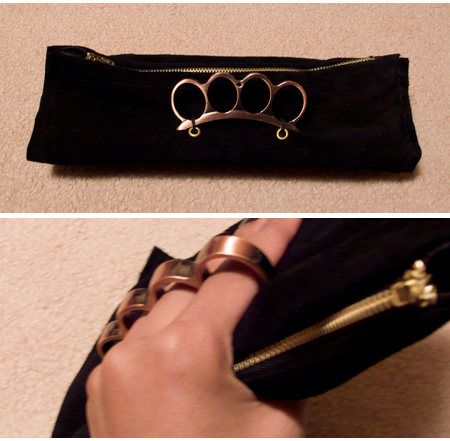 I used metal eyelets for the holes to tie my brass knuckle to, but sewing them directly to the fabric is cool too. 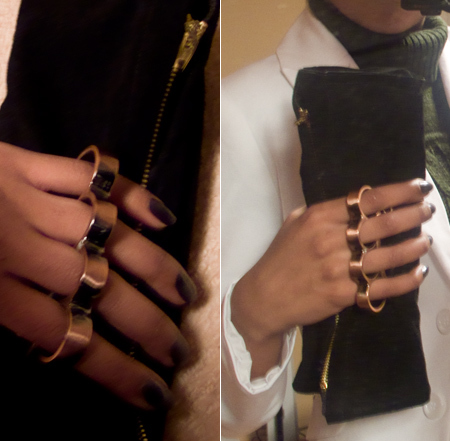 I wanted to be able to carry the clutch in a couple different ways, so I placed my knuckle about 1/3 of the way from the top. This way I can hold the purse from the top, with my thumb over the zipper, turn it upside down and have my fingers curled under the zipper, or fold it in half or at the knuckle if it isn’t very full. where did you get the knuckles?? I bought the knuckles online from http://www.blade-empire.com for about $10 – they have a wide variety of colours, types of metals, and styles.